It’s no secret that the Facebook algorithm is constantly changing. Given the fact that, over the course of its lifespan, Facebook has evolved from an invite-only networking platform to one of the largest social giants in the industry (with one billion daily active users) it makes sense that they constantly refine the way their platform works. Back in 2009, Facebook’s newsfeed was largely unrestricted. While this was a wonderful time to be marketing organically on Facebook, it wasn’t destined to last. Like many other platforms at the time, Facebook needed to make money somehow and to do this it logically follows it first would need to place restrictions on the people it wanted to make money from. The best candidates for a revenue stream were those willing to buy ads – the company pages. Thus, in 2013 we were thrown into five years of updates, upheavals and changes all put in place ‘to improve user experience’. Over the last decade we’ve seen the flagging of suspicious likes and restrictions in News Feeds take over and morph Facebook into what we see today. Wait, What Exactly Are the Changes? This last point is one I haven’t seen a lot of people talking about, but I think it’s one of the most important. Facebook is about to focus on local news feed content for local users and if there’s anything we know about ecommerce it’s how to use local audiences to reach a global stage. Also, important to note: Facebook are not retiring the News Feed altogether. Indeed, Mark Zuckerberg said they’ve already started using the algorithm so it’s likely that some users won’t even notice when the change takes place. It’s not all doom and gloom for marketing on Facebook. There’s a clear opportunity in refining your content and Page for local users. This won’t work for all brands and businesses, but for franchises and organizations with a local address, posting super relevant and interesting local content is going to be key. In some ways, your business may need to look back to 2009 for inspiration to really pull forward content that will appeal to your local audiences. A focus on emotive and story based content is going to work well here, drawing your audience into conversation. Remember: engagement bait posts are being stifled by updates in the algorithm, too. The one thing you absolutely should not do is ask for shares, likes, or comments. Even asking people to tag their friends is going to have devastating effects on the reach of your post. This is one of my favorite, and most under-utilized, features on Facebook. Facebook still notifies every follower of a page when they go live – depending on your settings you might even get a push notification. Given that for years now only around 10% of your followers ever even see a post from a page, this is a huge deal. 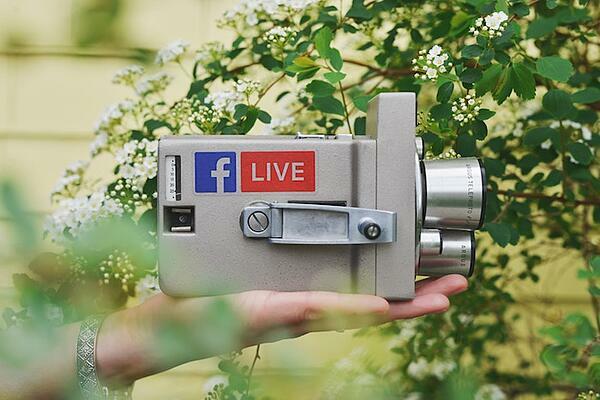 Going live doesn’t just improve your reach, it boosts your profile views too, and re-engages potential customers with your page and brand. Webinars and quick updates using this feature are a great way to engage with your audience. You might think your ecommerce site can't upload live content but there are a whole range of creative ways you could use this feature: even going live to show your users a new site feature or seasonal products is a quick and easy way of using it to your advantage. In October late last year, Facebook opened up their stories feature to pages. While we’re not seeing a wealth of pages taking advantage of this feature yet, you definitely should be. 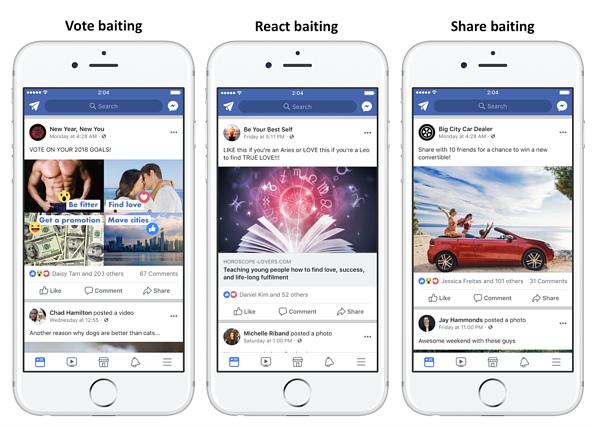 With recent changes to the news feed and the way posts are shared, using stories may become a vital tool for increasing engagement with your page. Facebook actually announced they want stories to overtake posts and feed as the most common way to post things on Facebook. In recent years, Facebook has (in my opinion) done a great job of zigging when we all thought they were zagging, and just generally changing their mind, but for now stories do seem to be taking front and center on News Feeds. It pays to listen when Facebook says it likes a feature – it generally means they’re going to favor content that uses that feature. Wait, Aren’t Facebook Stories Actually Just Snapchat? Look, Snapchat obviously did it first but when it comes to Facebook it’s a widely not kept secret that when they can’t buy something they'll then at least try to replicate it. Facebook has the numbers to do well in this sphere (one billion users versus 187 million users on Snapchat). Couple that with how Instagram stories are slowing down Snapchat growth (did I mention Facebook own Instagram?) and it’s clear that while Snapchat created this form of content Facebook intends to be all-in on it too. 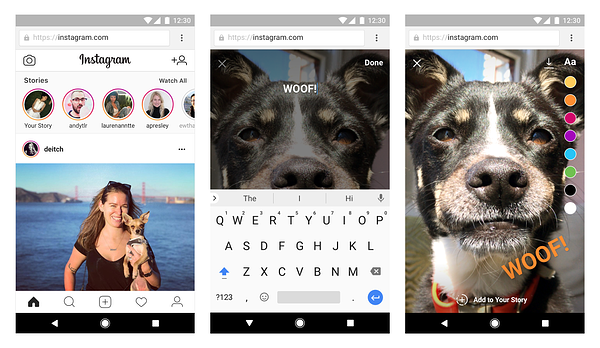 You might not be seeing many of your friends use stories on Facebook yet (although Instagram has seen great success), but pages and marketers are getting wise to the engagement boost that stories can provide, and you should too. Use stories to promote your blog posts, driving traffic to your site, or even to highlight products you might have on offer. The great news about this change to Facebook is there's a real chance to improve your standing on the platform and, ultimately, increase conversions on your site. There's no set formula on what exact content is going to come out on top although Facebook has openly said it's all about genuine conversations. Now is the time to diversify your posts, and offer a range of content to your followers. Now is the ideal time to experiment. What worked for you last year isn't necessarily going to work for you this year. Change it up, record the results, and follow what the data tells you is working. New algorithims can be confusing, but they're also a chance for you to out-shine your competitors and boost sales if you're willing to experiment.